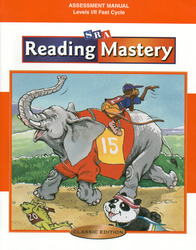 For more than thirty-five years, Reading Mastery Classic has been helping young learners become smarter, learn to read faster and develop effective strategies for understanding. Long recognized for its phonemically explicit, intensive approach for teaching beginning reading, Reading Mastery Classic has proven superior in research studies that measure outcomes with at-risk children. With Reading Mastery Classic, you will provide high-quality instruction that has: Proven to reduce the prevalence of reading problems. Demonstrated the strongest impact on the reading growth of children at-risk. Elevated reading skills of at-risk children well into the average range.